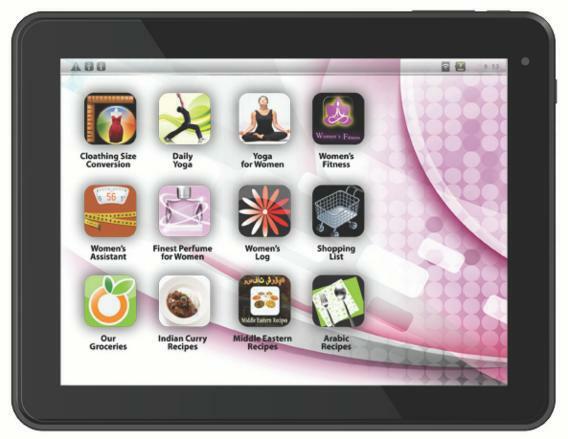 EPad Femme: The first tablet for women is awful. But where’s the shoes app?! Yes, it’s awful. Horrible. Patronizing. Could be mistaken for an Onion farce. And like its sisters Bic “For Her” Pens and Japan’s Honda for women, the ePad Femme deserves every last sigh of disgust. But tailoring products for women shouldn’t be entirely written off as anti-feminist garbage. Instead, we should continue pushing companies to stop manufacturing lazy, one-dimensional adaptations of perfectly fine gender-neutral goods for women (assuming you classify “pink” as an “adaptation”) and start challenging companies to create the products women need and want—including adapting certain gender-neutral goods that aren’t really gender-neutral for women. Let’s take, for instance, the admittedly extreme example of body armor. Until recently, female troops serving in combat zones wore the same body armor as their male counterparts. With the wars in Afghanistan and Iraq, more and more female service members found themselves in harm’s way on the ever-shifting front lines. But for 85 percent of women, even the extra-small armor was too big, leaving them vulnerable to bullets and shrapnel. In September—after a decade at war—the Army finally deployed the first round of body armor designed specifically for women with a female engagement team out of Fort Campbell, Ky. In this instance, women were in desperate need of a product that wasn’t available to them thanks to a mix of tradition, shifting gender roles, and a market slow to react. A far less dire example: my beloved hydration pack. As a distance runner, I depend on my pack to get me through hours-long runs without chafing or back pain. But until companies introduced packs for women just a few short years ago, female runners were stuck with the gender-neutral—i.e., tailored for men—packs. The packs often sat awkwardly on shorter torsos, and the chest straps didn’t take female anatomy into account. But when manufacturers listened and made savvy—and arguably superficial—tweaks to an existing product, female runners rejoiced. Or take Pinterest, the photo-driven social-bookmarking site whose user base is 80 percent female. Taken as a whole, the ePad Femme’s collection of preloaded apps—clothes, exercise, recipes—doesn’t deviate much in subject matter from the majority of Pinterest users’ boards. But unlike the ePad Femme’s users, Pinteresters get to call the shots: Recipes not your thing? Pin strength-training plans. Or pop culture. Or over-the-top oddities. The dudes who founded Pinterest likely didn’t set out to build a wedding-planning, cake-baking mecca for ladies young and old, but they did so through smart design (not pink!) and marketing. They knew their audience, but unlike the ePad Femme creators, they didn’t treat them like fools. Products like the ePad Femme should be laughed off the Internet for their short-sighted conceptualization of what drives female consumers. But when companies tune in and tailor products to women’s actual needs, women will vote with their dollars. And, please, let’s lay off the pink.